Note: These Hurricane taillight covers DO NOT block your turning signal light, it is still visible during day and night. This part may be made to the order, so please allow 6-9 business days before part is shipped. SPECIAL REQUEST: Upgrade to ACEP's "OMNI FLEX" signature High gloss flex UV-protection clear coat adds durability and longevity. This clear last longer, provides better UV protection from color fading, has a flex additive to increase the paints flexibility to limit paint cracking over time or during application, this clear also provides a higher gloss finish over our “OREON” standard clear. SPECIAL REQUEST: Upgrade to ACEP's rare "DULLTRON" matte finish flex UV-protection clear coat adds durability and longevity. 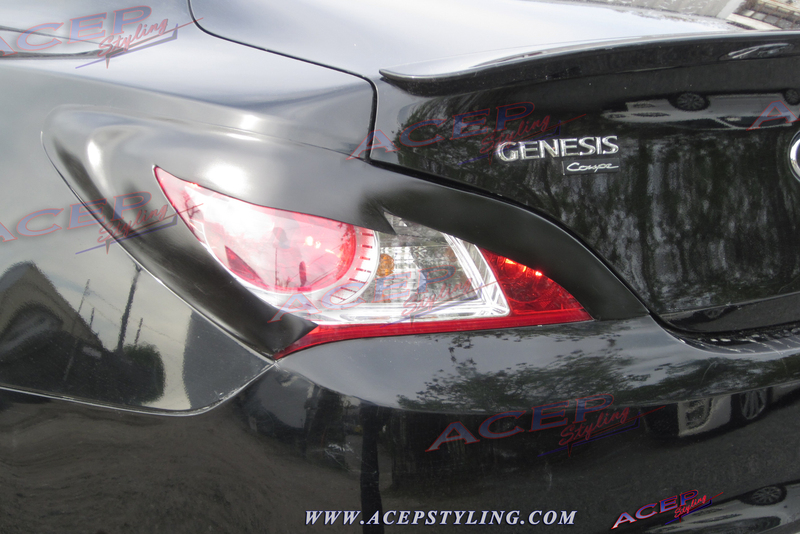 This clear last longer, provides better UV protection from color fading, has a flex additive to increase the paints flexibility to limit paint cracking over time or during application, and provides a matte finish unlike our “OREON” and “ONMI FLEX” clears. 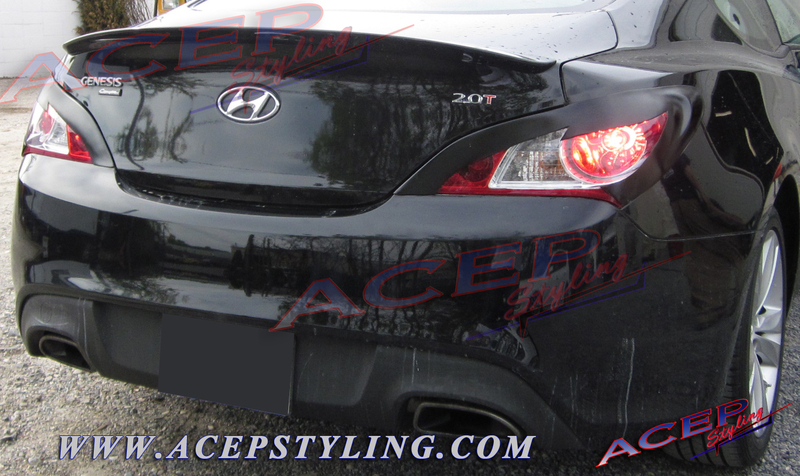 SPECIAL REQUEST: Our 100% Authentic CARBON FIBER eyelids and taillight covers come with a standard weave, ACEP's "OREON" standard clear and highest quality crystal clear epoxy resin We paint all custom colors, standard colors, kandies, metallics, & pearls with a standard clear, for a solid price of 63.95 nothing more, nothing less (Cameleon colors not included). 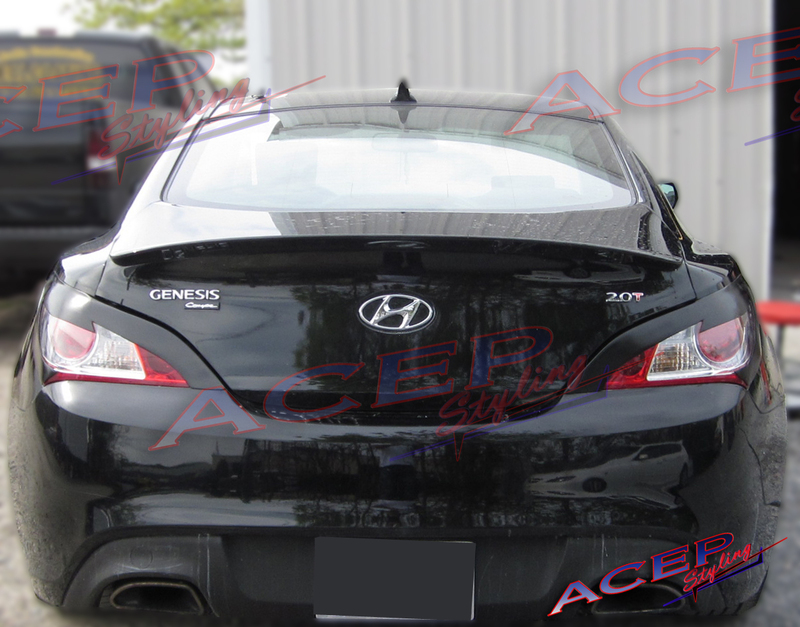 Click the button below to add the "HURRICANE" Taillight armor/covers fits 10-12 Genesis Coupe to your wish list.